At the core of human reality is Consciousness. Humans are self-defining creatures. We develop rule sets and stories that generate our experiences of reality. Consciousness is the state of awareness in each of us where our self-defined realities are only one of the many options in potential that could be expressed. Resonate with Janet and her friends in Heart Centered Awareness. 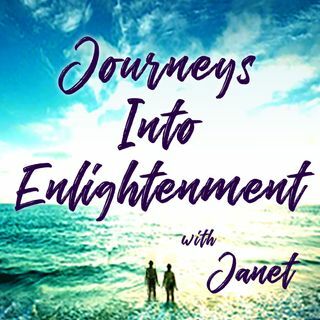 This intersection of Consciousness and Self is our “Journeys Into Enlightenment.” You will feel this state where ... See More time and space are malleable, potential is active and change in our day to day experiences can be felt in the moment. You will witness this sharing in the expansive variety of expressions of Consciousness, and as form and language in our physical and non-physical worlds. Enjoy with Janet respite, laughter, the profound, tantalizing new thoughts, and resonate in changes in emotions. Express new definitions in Self and join in the collective community we call Consciousness. Feel the difference in the moment that can last a lifetime. Ep 6 Consciousness and Being Free in the Body.